David, tell us about you. Who are you? 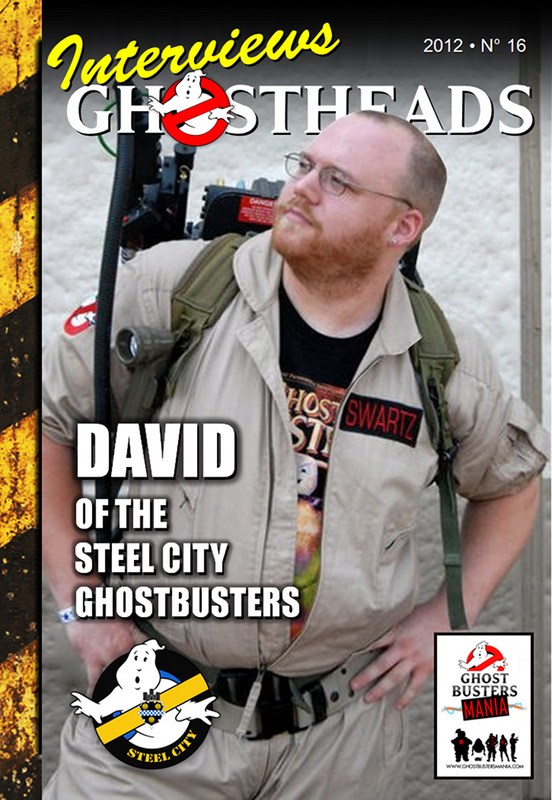 My name is Dave Coward and I am the founder of Steel City Ghostbusters. I started the group back in 2008 and at the same time was training to become a professional wrestler. I have ben wrestling for 4 years, started in April 2009, and have wrestled in WV, OH & PA. I was born in 1985 so of course I grew up with it being on TV and eventually got to the movies. I have always been fascinated with the entire science of the Ghostbusters and the scenario of being able to capture and trap ghosts. I created my first pack in late 2008 early 2009 but the new one was sort of 2011/2012. 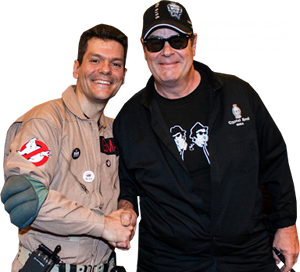 I bought the shell off of John (aka akaline) at a recent Dan Aykroyd appearance in Pittsburgh and gathered a few parts. I took some time away from building to move in to my new apartment with my now fiance and then once we were settled I got back on it. I have to add that if it weren’t for the help of my friend Nick Danish my wiring would’ve never been done. He is the master that wired my lights and sounds. I always enjoy the zombie walks in Pittsburgh because its an outdoor event where a lot of people in the area get together so we get to be better established within our own community which is awesome because then when we go out to other places we get easily recognized and people love it. Being a “ghosthead” to me would have to mean a common interest amongst a select few where you can enjoy dressing up as your favorite movie heroes and enjoy your time spent together. We here in the “Steel City” are far and few so when we have an event and get to hang out its a blast and it reflects to people around us which they get a kick out of and always want us to come back. My whole reason for starting the group was to find a way to raise awareness and help charities with something very noticeable which, of course, was my favorite movie Ghostbusters. When people see someone dressed like this they automatically point it out or get drawn to ask you “why”. Not just that but kids love us and that’s always a big thing with us because kids are the best fans. No matter who you are, what you look like, what your props look like, they don’t care they just love the fact that they can meet Ghostbusters. Honestly now that my pack is finished I have a pair of AN/PVS goggle frames waiting for me and my fiance wants me to build her a pack (won’t be accurate but something she’ll be happy with) so those are in the plans but honestly I just want to be able to show off the new pack and meet new people while we’re out. Hopefully we have a big year and that is our goal every new year is to make this one better then the last. So far its looking good because our calendars seem to be getting filled up quite well. To close I would like to tell all my group members reading this thanks for tolerating me through the last 4 years. We’ve had ups and downs with this group trying to find out who exactly we were and it has worked out very well. If it weren’t for them I would just be sitting in my apartment dreaming and wishing of what could be. Sam and Brandon helped me take over the group and that was probably the best decision I made in the group. I wish all other groups and fans the best of luck and also have to thank AJ Quick for GBfans or else we’d be no where lol.